RICHMOND, Va. — Equality Virginia Executive Director James Parrish on Saturday criticized Virginia House Speaker Kirk Cox (R-Colonial Heights) for thwarting four LGBT rights bills during the 2018 legislative session. 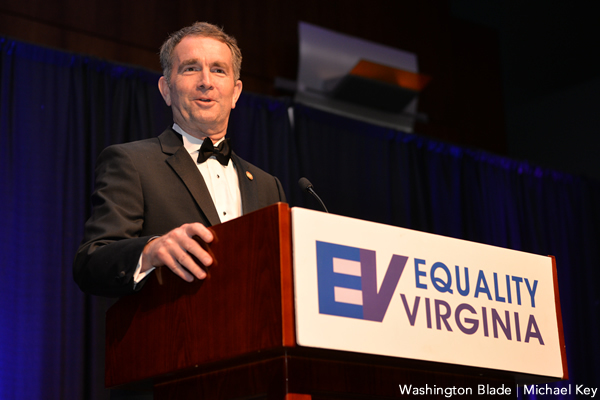 Parrish told the hundreds of people who attended Equality Virginia’s annual Commonwealth Dinner at the Greater Richmond Convention Center that Cox assigned the four bills to a House subcommittee that has traditionally been hostile to LGBT rights bills because he “knew we had the votes” to pass them. The subcommittee on Feb. 8 killed state Del. 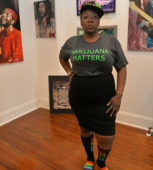 Mark Levine (D-Alexandria)’s House Bill 401, which would have banned discrimination based on sexual orientation and gender identity in employment, public accommodation, housing, banking, insurance, public contracting and apprenticeships. Lawmakers killed state Del. 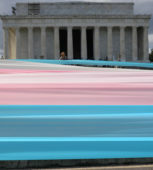 Marcus Simon (D-Falls Church)’s House Bill 1547 and state Sen. Jennifer Wexton (D-Loudoun County)’s Senate Bill 423, which would have added sexual orientation and gender identity to Virginia’s Fair Housing Law. The subcommittee also killed state Sen. Adam Ebbin (D-Alexandria)’s Senate Bill 202, which would have banned discrimination against LGBT public employees. The Virginia Senate in January approved SB 202 and SB 423. The dinner took place less than six months after Democrats won 15 seats in the Virginia House of Delegates and nearly regained control of the chamber. Republicans maintain a two-seat majority in the state Senate. State Dels. Danica Roem (D-Manassas), the first openly transgender person ever seated in a state legislature in the U.S., and Dawn Adams (D-Richmond), the first out woman elected to the Virginia General Assembly, attended the dinner alongside state Dels. Mark Levine (D-Alexandria) and Mark Sickles (D-Fairfax County) and state Del. Adam Ebbin (D-Alexandria). Virginia Congressmen A. Donald McEachin and Bobby Scott and Richmond Mayor Levar Stoney are among the other elected officials who attended. Governor Ralph Northam and Attorney General Mark Herring also spoke. “What a difference a few years can make and what a difference elections can make,” said Northam. 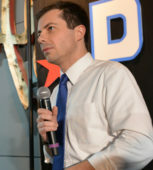 Parrish at the end of the dinner welcomed Roem, Adams, Sickles, Levine and the three other openly LGBT candidates who ran for the state House in 2017. 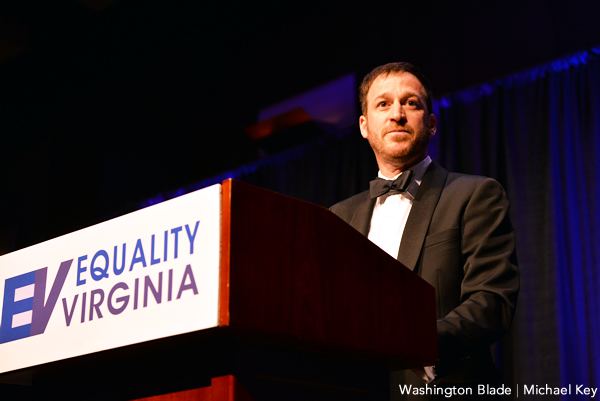 Equality Virginia on Saturday raised more than $30,000 to support their efforts to help elect pro-LGBT candidates in the General Assembly in 2019. Northam in his remarks sharply criticized President Trump over his efforts to ban trans people from serving in the military. He spoke a day after a federal court in Seattle ruled a lawsuit that challenges the policy can go to trial. “In 2020, we need to make some changes, don’t we,” said Northam, referring to the 2020 presidential election. 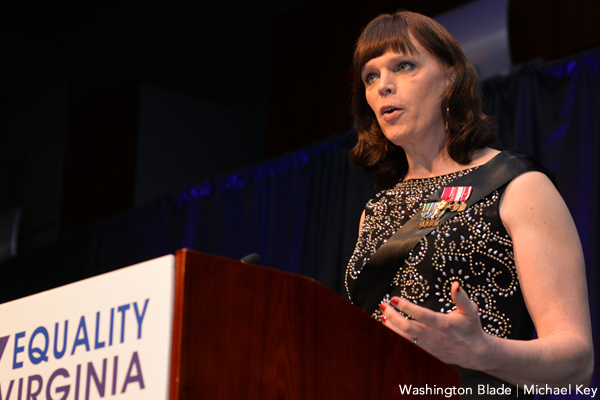 Ann Murdoch, a trans woman who served in the U.S. Army before she transitioned, also spoke at the dinner. 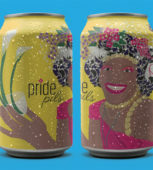 She noted the can still be recalled into service, even though she is retired and joked she has “bone spurs.” Murdoch also said Trump “chose the wrong people to pick on” with his efforts to ban trans people from the military.